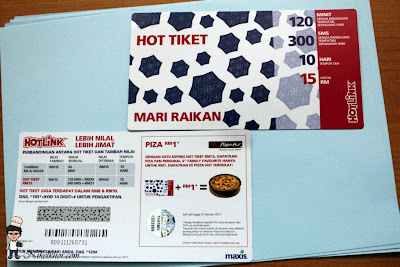 Maxis celebrates Christmas with Pizza, Festive Content, More Talktime and SMS for Customers. In conjunction with the year-end festive season, Maxis Berhad (“Maxis”), Malaysia’s leading integrated communications provider, brings cheer to its customers with Hotlink Hot Tickets that come with even more talktime and SMS. From today until 31 January, customers are entitled to a “Family Favourite Personal Pan Pizza” from Pizza Hut for only RM1.00++ with every two RM10 Hot Tickets or one RM15 Hot Ticket. 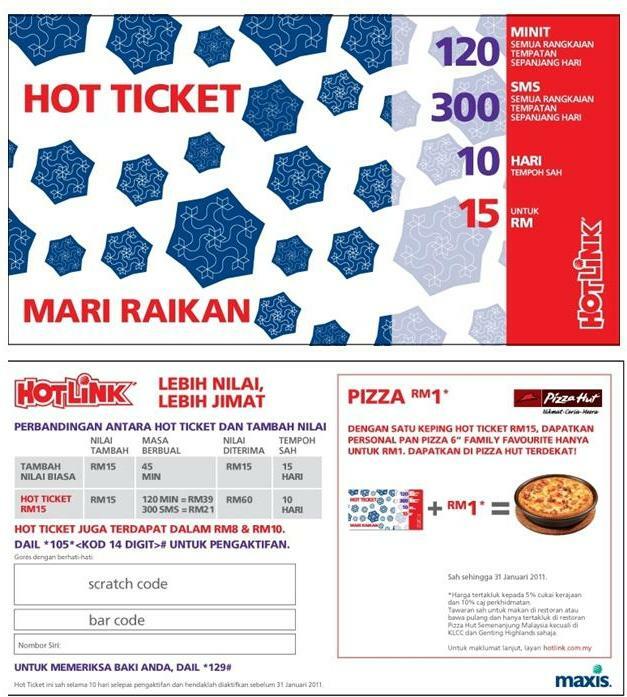 The RM15 Hot Ticket comes with RM60 worth of talk time and SMS. When customers activate the Hot Ticket, they are immediately given free access to the specially customised Christmas WAP portal which contains festive and fun content including MMS Greetings, HIDUP2 and Vuclip. HIDUP2 is a mobile social game which enables customers to create and manage their own characters in a virtual world – whether it is acquiring a house, making new friends or growing wealth. In addition, customers may enjoy free video clip downloads (up to five clips) on their mobile devices via the Vuclip® video search portal. How to get this hot tickets? - The most creative Christmas Greet will be chosen. - Limited to ONE winner as the most creative tweet. 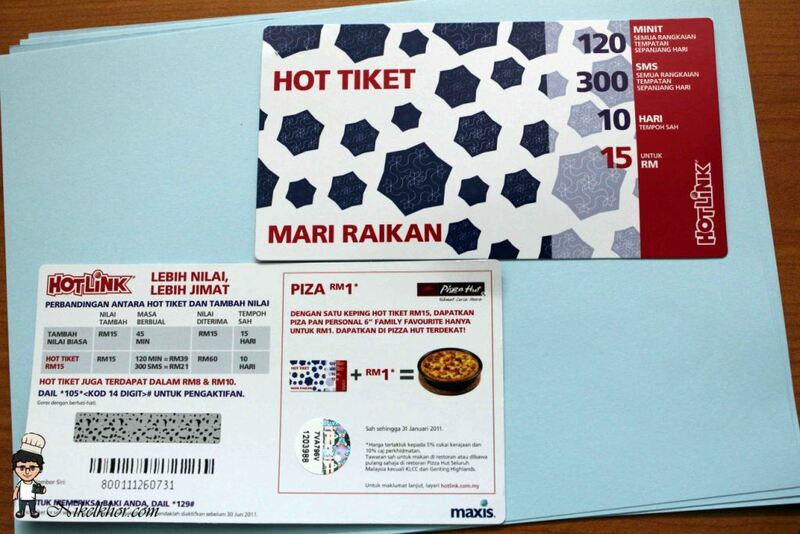 *Note : Winner will receive your Hot Tickets by mail, so this giveaway is open to all Malaysians. Thanks for participate and fully support on this giveaway.